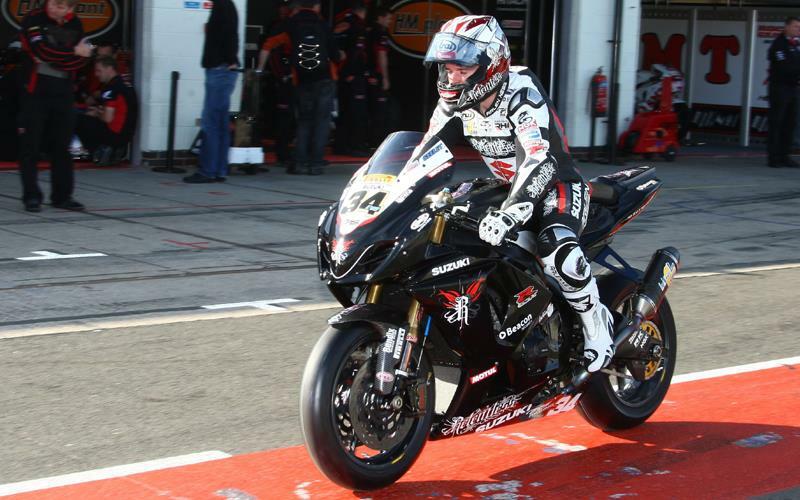 After his brilliant debut at Silverstone on the Relentless by TAS Suzuki ‘Evo’ GSX-R1000, Alastair Seeley will get to ride one of the team’s fully-tuned superbikes in the final MCE BSB round triple-header at Oulton on October 10/11. Seeley made a sensational BSB debut two weeks ago when he finished tenth in the second Silverstone race riding the team’s BSB Evo bike, built specially to trial the new class rules that demand a superstock engine and no electronic rider aids and will replace the privateer Cup competition. But now the team are going to thank him for all his efforts on the Evo bike – and for winning the National Superstock title this year – by letting him loose on the superbike with considerable more horsepower (175bhp of the superstock engine compared to 200+ of the superbike) and full traction control. Seeley, 29 from Carrickfergus, said: “I qualified pole on the superstocker earlier this year at Oulton (and won the race) so I know my way around.